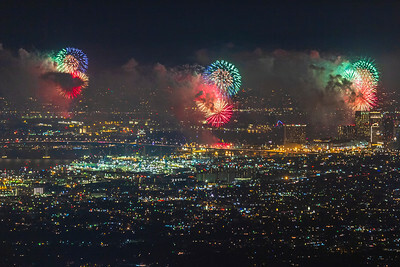 Three synchronized sets of fireworks explode over downtown San Diego, California. Shot from over 20 miles away. Weather was perfect for shooting (and enjoying) the fireworks: no wind and nice clear skies. I shot many frames last night, but I really like how the thick smoke clouds add a nice sense of depth here. Thanks again @itwasthelight for always finding the most epic locations to shoot. 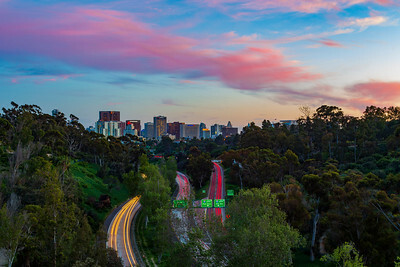 This is a single frame from a timelapse sequence (video will be posted in the near future) shot with a Canon 6D and Sigma 150-600mm lens at 1 sec f/6.3 ISO 400 484mm. 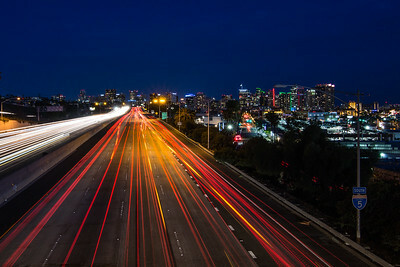 Met up with Jeff Morris and Kevin Moto to shoot the full moon rising over the San Diego city skyline. There was no cloud cover to the east, so we were able to capture the moon as soon as it began rising over Mount San Miguel. I shot this with a Canon 6D and Sigma 150-600mm lens at around 525mm. 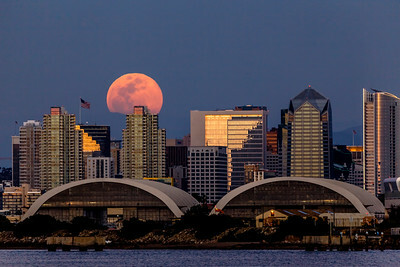 The Buck Moon rises above the San Diego city skyline. 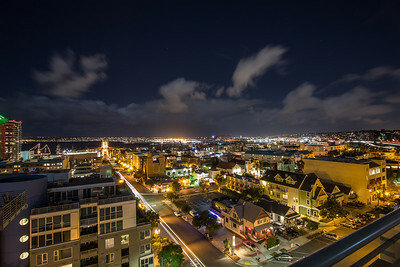 This is a composite of two images - I shot one exposure where I optimized for the city lights and another where I optimized for the moon. The clouds surrounding the moon made blending the two images challenging. 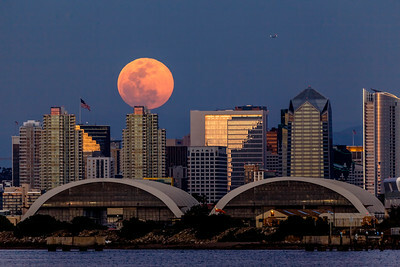 Orange-colored Bull Moon rises among San Diego skyline. Take 2. 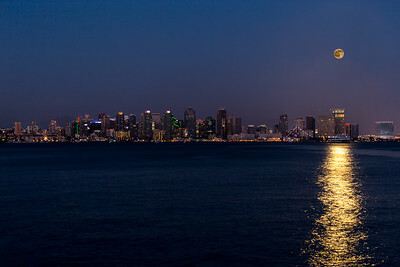 The full moon rises among the San Diego city skyline. 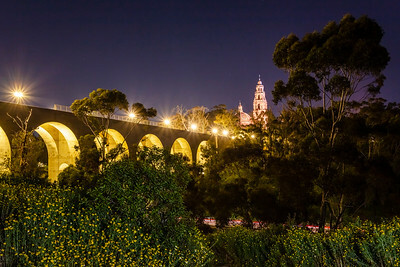 I shot this from Harbor Island Park. This is my first serious attempt at doing a composite image. I did one exposure optimized for the city skyline and a separate exposure optimized for the moon. I then painstakingly combined the images to produce this result. Any constructive criticism is welcomed. Seen from the Coronado Ferry Landing. 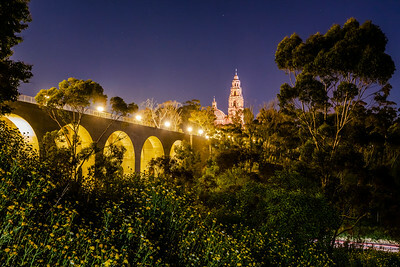 Shot from Centennial Park in Coronado. 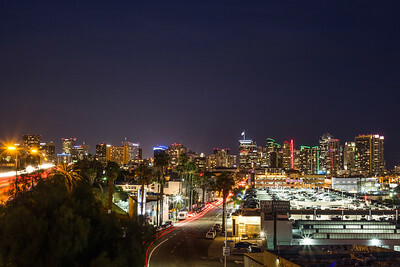 Shot from the pedestrian bridge at India Street and Palm Avenue. 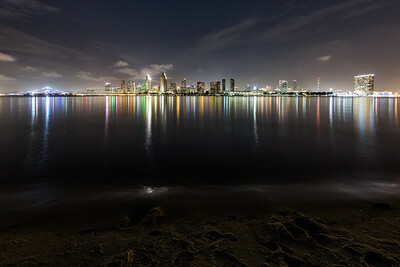 Shot from a beach in Coronado. I managed to capture the full moon as it was rising behind the buildings. I also captured some fireworks in different frames and combined them with the original image.